Most cream-based soups start with a “roux” of butter and flour, but unfortunately, keto-friendly flours make poor substitutes in a Bechamel. 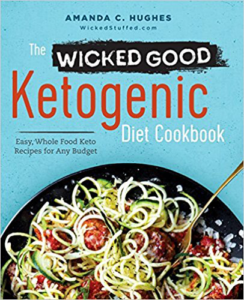 Instead, this keto bechamel is made with eggs and is great for creating thicker cream-based soups. In a small bowl, use a whisk to scramble your egg yolks together until smooth. In a medium non-stick skillet, melt the butter over medium heat, then add the chicken broth, cream cheese, and heavy cream over medium heat until melted and combined, then reduce to low and simmer. Slowly add the egg mixture into the cream mixture while whisking, and cook for a few minutes on low heat until thickened. Remove the pan from heat and taste. You can now season with salt and pepper to your liking. This keto bechamel is used in my Cheddar Chicken Bacon Ranch soup. If you love creamy, flavorful soups please try it out and let me know what you think in the comments. 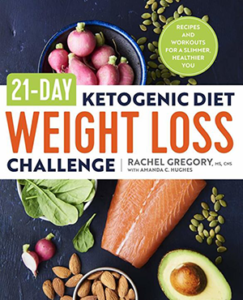 I just tried this with baked mac and cheese, using Banza low carb pasta. It was quite good and more successful than trying to make a white sauce with almond flour. I didn’t know how much to make for a 4 serving casserole dish. Guessed at 4 servings and ended up with a lot of extra sauce. I am guessing I used about a third of it for the 3/4 box of Banza elbow macaroni. Extra is in the freezer for later. Thanks, the family enjoyed it! 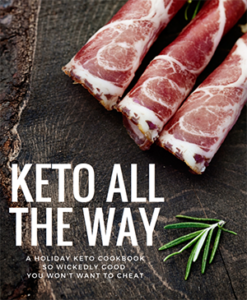 What I don’t understand is why with all the creativity required to come up with something keto and tasting you couldn’t find an original name for the recipe. The recipe has different ingredients, color and taste: why becamel? no, really, why? 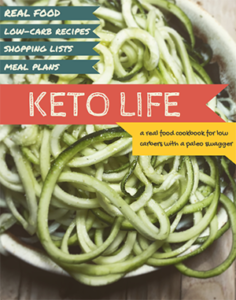 Because when people are looking in Google for a keto substitute for Bechamel in their recipe, they won’t find it if I name it something else. I want people to be able to find a substitute easily. Roasted red peppers and eggplant and pureed into this…added parm cheese, it was good, thank you Amanda. I’m looking for white sauce similar to a bechamel with cheese, to serve on vegetables such as roasted broccoli. Does almond flour or one of the other low carb flours work or would you recommend the recipe above? I’m getting tired of eating salad, avocado and salmon every day. It’s delicious and I love avocado but it would be wonderful to broaden my options. This sauce though with eggs and chicken brother seems much more involved than a basic bechamel with cheese. I’m open to any suggestions you might have.